Otp june 3rd..after open house (Sunday 230 -430pm). A fantastic up/down duplex investment opportunity! Zoned R2. 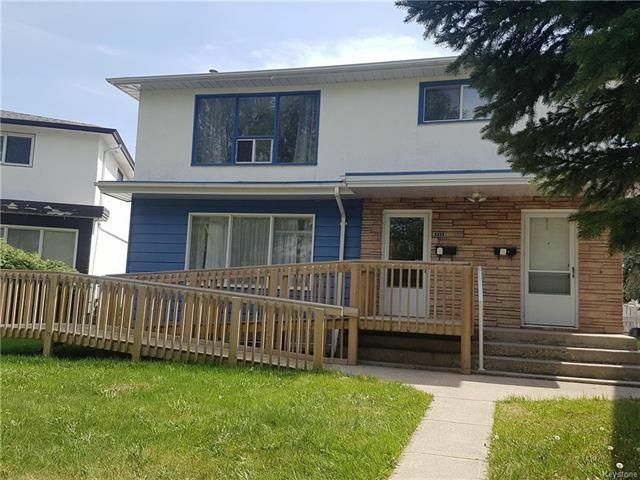 Perfect location near the hospital and tons of shopping and schools. Safe and convenient location right across from its own green space/park. 6 Bedrooms (3up, 2 down, plus former basement unit with own 3 pc bath) 3 baths, gorgeous oak hardwood floors, cute backyard gazebo. Vegetable garden w/compost. Front handicap access ramp. Over sized double garage - 5 parking spaces total! 2 central aircon units, 2 furnaces, separate hydro AND gas meters plus 2 washers and 2 dryers!! A serious chance to make some money, or live in one half and have someone else pay your bills for you! All measurements =/- joggs.